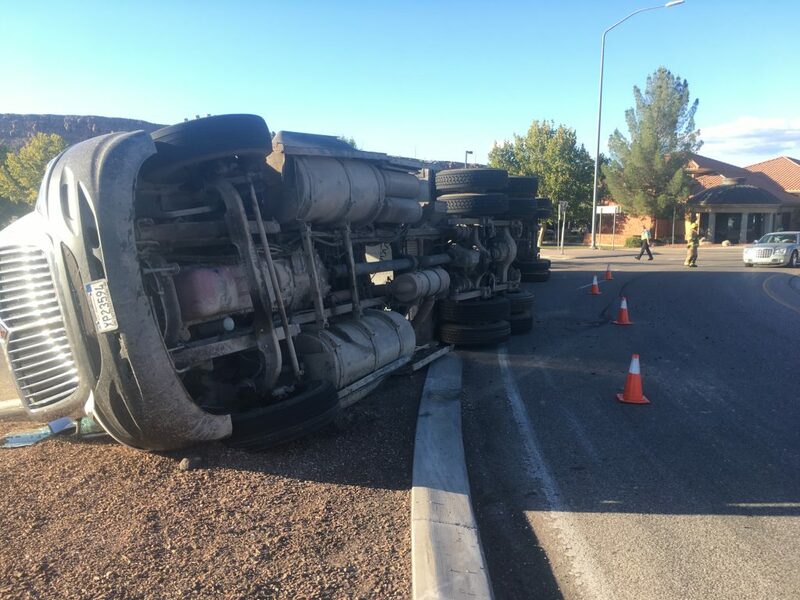 ST. GEORGE — A semitractor-trailer tipped over in a roundabout in St. George Friday at rush hour, blocking one of the exits on the roundabout and slowing traffic. 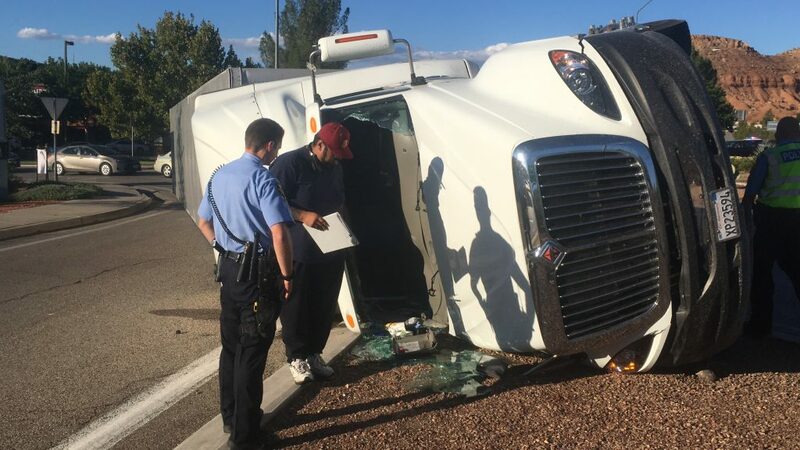 The semi, which was packed full of alfalfa, was traveling 20 mph around the large roundabout at the intersection of Brigham Road and Pioneer Road in St. George at about 5:20 p.m., St. George Police Sgt. Jeremy Needles said. Its tires hit the pavement on the middle of the roundabout, which caused it to tip over, he said. 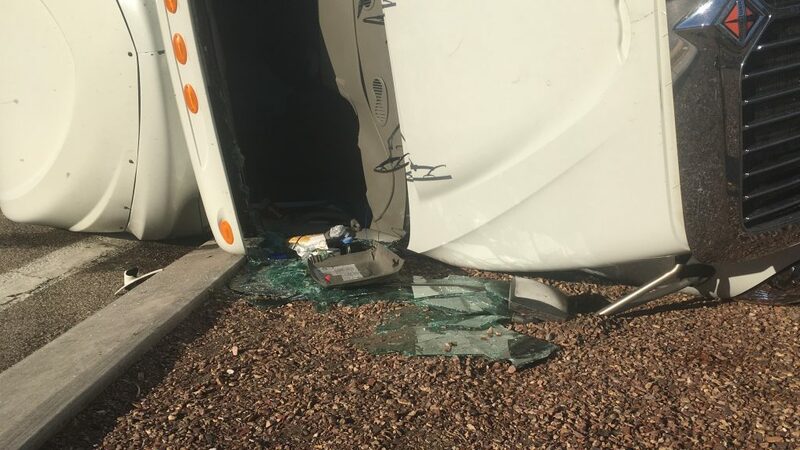 When the side of the semi smashed down onto the roadway, it shattered the windshield. 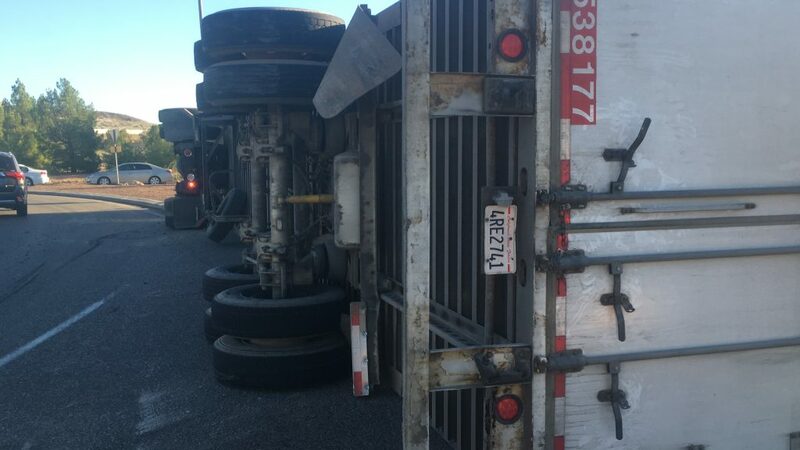 The driver of the semi was uninjured and there were no other cars involved, Needles said. The crash blocked one of the exits of the roundabout, causing traffic to slow down around the already-busy intersection. 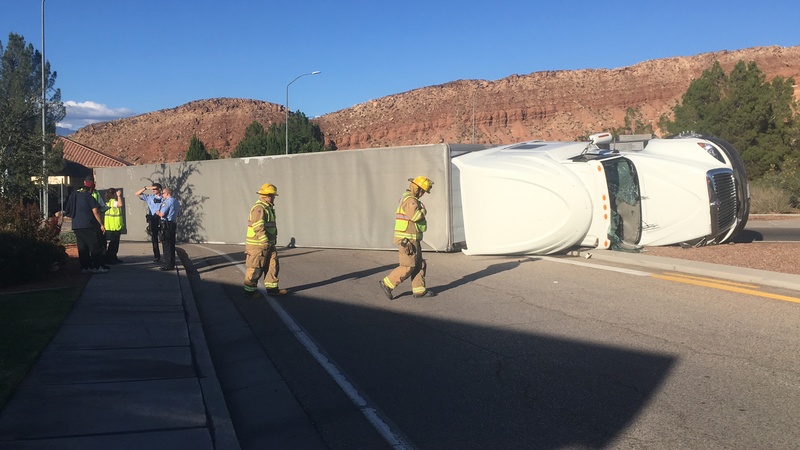 A crane and a heavy-duty wrecker were called in to remove the semi from the roadway, Needles said. The map below shows the approximate location of the crash. The land of Milk and HAy. Lots of it. Just get it to market in one piece, ok?? 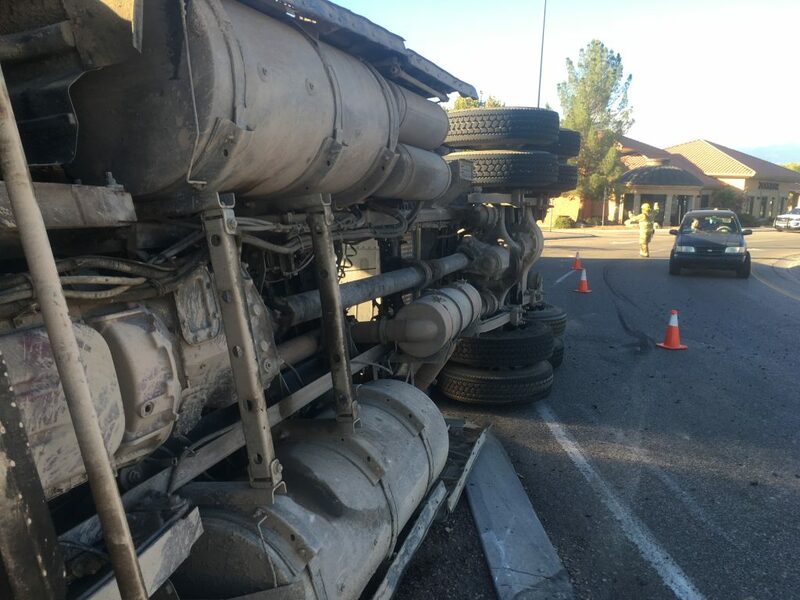 Since a recent study found a majority of truck drivers don’t understand how to drive a modern roundabout, it stands to reason most drivers don’t understand how a truck is supposed to drive a modern roundabout.